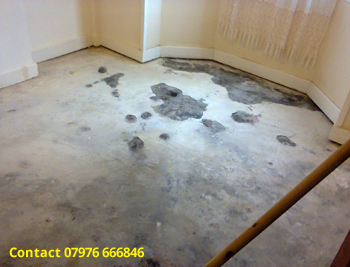 Damp uneven floors in terraced houses and old properties a speciality. 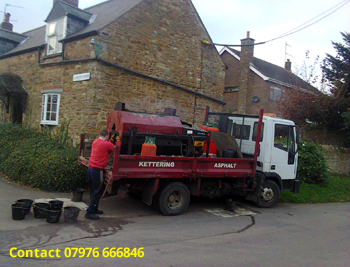 Parking arrangement of lorry mounted asphalt mixer to make access compact using minimal space. 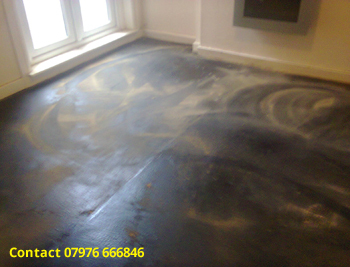 Fibreglass underlay prepared to take asphalt flooring over quarry tiles. 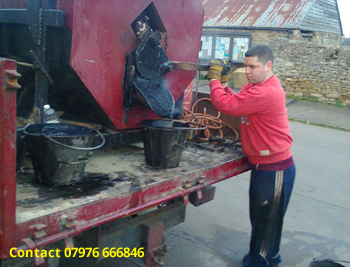 20mm asphalt flooring on fibreglass. 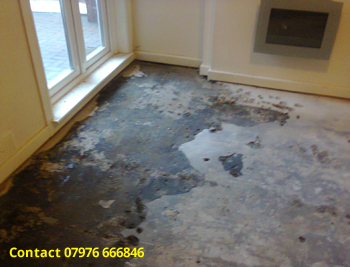 Defective existing floor exposed, most solid floors will be receptive to asphalt flooring eliminating the need for time consuming, disruptive excavtion and screed. 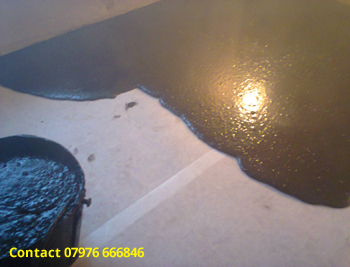 Mastic asphalt BS 1076 flooring grade hand laid to levels by wooden float. 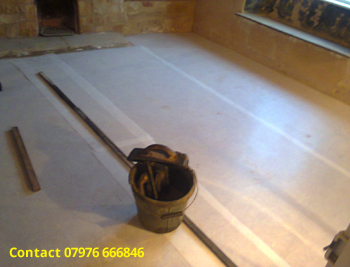 Finished floor laid to levels. 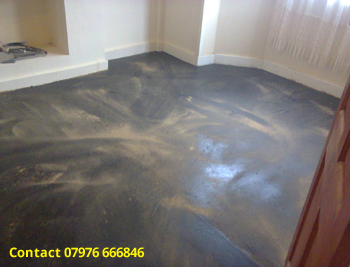 Sand-rubbed to take carpet or similar. 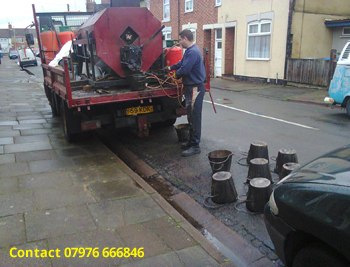 Floor area to be leveled with asphalt before laying. 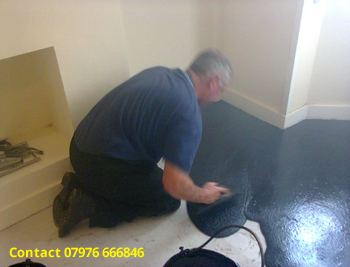 Additional leveling coat laid first then finished floor laid to levels, sand rubbed to take carpet or similiar and can be accessed within 1 hour of completion.